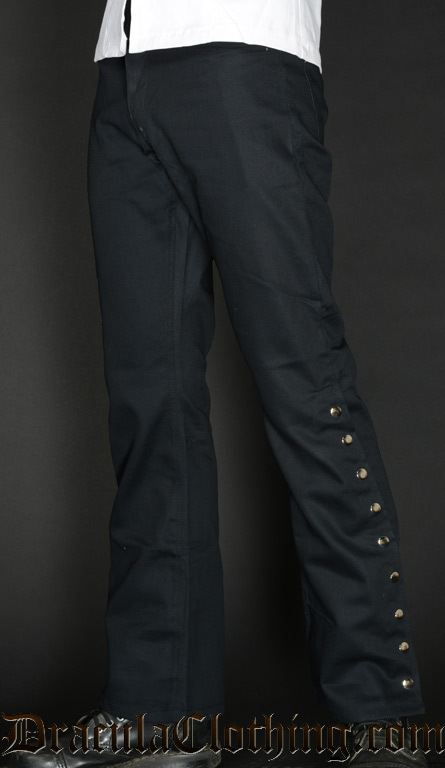 Thick cotton pants with buttons with a classic five-pocket style and button fly fastening. Thick cotton pants with buttons. I'm very satisfied with my purchase, I can't believe that the size is exactly as they described (a bit small compared to regular sizes) but perfect for me.